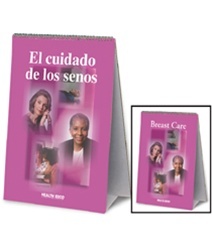 Perfect for programs that need to present breast health information in two languages, this flip chart features an English version on one side and a Spanish version on the other. Includes bilingual presenter's notes. 6 panels. 12" x 17".